Walter Williams, professor of economics at George Mason University, has spent a life time exposing the results of well meaning but disastrous economic policies of the left. The effects on blacks in the United States is something he has found particularly disturbing. This book examines in detail how the policies the left has implemented have had disastrous results. In Race and Economics he does an outstanding job of explaining why and what should be done to try to undo the damage. 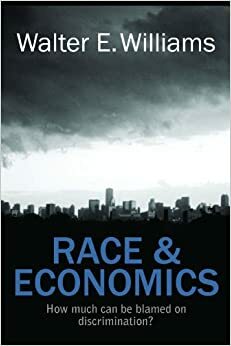 A great companion book to Thomas Sowells Economics and Politics of Race.